One of the biggest setbacks that students can have when they are about to graduate from high school is wondering how they may be able to afford college and open the doors for themselves to a positive future. 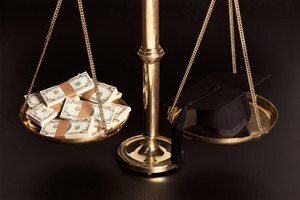 Because tuition rates in the United States are some of the highest in the world, many students fall into a dilemma of either taking out loans with high-interest rates in order to be able to afford school, opting for community college or choosing not to go to school at all. Although students from all backgrounds can relate to the struggle when it comes to the topic of affording college, those from minority communities may have additional obstacles that get in the way. Whether these obstacles are a language barrier or having immigrant parents who never had the opportunity to go to college, the whole process of figuring out how to pay for school can be unfamiliar territory. Luckily, there are scholarships in place to help these students pay for school and for students of Hispanic heritage, the Hispanic Scholarship Fund may be the answer to high tuition costs. According to the scholarship website, the Hispanic Scholarship Fund, also referred to as "HSF," is a scholarship that was created to help students of Hispanic heritage pay for their college education and ultimately earn their degree. The Hispanic Scholarship Fund was founded in 1975 with the goal of providing scholarships and support services to "as many exceptional Hispanic-American students as possible." 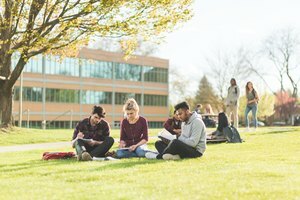 The Hispanic Scholarship Fund is now the largest not-for-profit organization supporting Hispanic-American students in their pursuit of higher education in the United States. According to the Pew Research Center, Hispanic heritage defines any person who identifies as Hispanic. But seeing as anyone could theoretically say they were Hispanic if they wanted to, it's helpful to have a more clear definition of what that means for Hispanics living in the United States. In 1976, the U.S. Congress passed a law to help collect data on this unique group of people, by defining "Hispanic" as _“_Americans who identify themselves as being of Spanish-speaking background and trace their origin or descent from Mexico, Puerto Rico, Cuba, Central and South America and other Spanish-speaking countries." But, what does this mean for students applying to the Hispanic Scholarship Fund? The Hispanic Scholarship Fund describes "Hispanic heritage" as a student that must be at least 1/4 Hispanic/Latino and their ancestry must come from either Argentina, Belize, Bolivia, Brazil, Chile, Colombia, Costa Rica, Cuba, Dominican Republic, Ecuador, Guatemala, Honduras, Mexico, Nicaragua, Panama, Paraguay, Peru, Portugal, Puerto Rico, El Salvador, Spain, Uruguay or Venezuela. This is an ethnic requirement and not a racial one. Therefore, if you happen to be of African descent but your family is from one of these countries, it doesn't matter. Why Apply for the HSF? If you're wondering whether or not it's a good decision for you to apply for the HSF, the question should not be "Why apply for the HSF?," but rather, "Why not apply?" Generally, when it comes time to pay for school, students have limited options in terms of getting free money that doesn't need to be paid back. Though the federal government can provide grants, such as the Pell Grant, it would hardly be enough to cover tuition. Students will likely also need to take out both federal loans and perhaps even private loans to help cover all the costs. Unlike loans, grants and scholarships, such as the Hispanic Scholarship Fund, do not need to be paid back after graduation. Therefore, students should absolutely consider applying for the HSF as long as meet all of the eligibility requirements. And although there are no guarantees that you may be awarded the scholarship, it's still worth a try. If you are selected to receive the Hispanic Scholarship Fund, you can get potentially earn anywhere between $500 and $5,000 based on the merit and relative need among all of the students who are also chosen to receive the award. You can only get one Hispanic Scholarship Fund scholarship per year that you apply, but you can apply each academic year that you are a student. You cannot get the award if you defer your enrollment and if you're waitlisted, which means you can only receive the award if additional funding becomes available or if someone else doesn't end up claiming their scholarship money. Submitted: Applicants will reach this first stage in the selection process after they've submitted their completed application, as well as their recommendation form. Finalist: Applicants will only reach this second stage if they've ranked high based on the score given to them by the application readers. 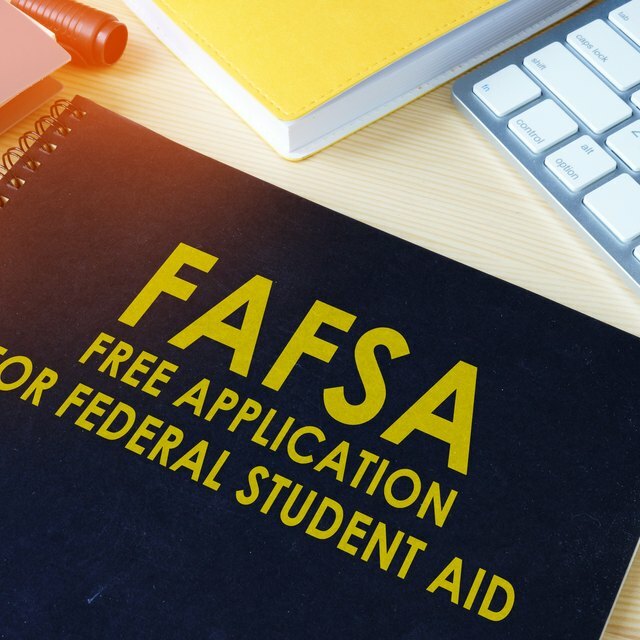 At this point, students must submit additional documents, such as their Student Aid Report (SAR) and their academic transcripts, if requested by the fund. Scholar: In the final stage, you will be ranked again based on the additional documents you have sent in. If you rank among the highest of the applicants, you will be given the award or waitlisted. It can all depend on how many students apply, how much aid is available and how you compare to other applicants. If you do become a scholar and ultimately a recipient of the Hispanic Scholarship Fund, you'll be getting more than just money. 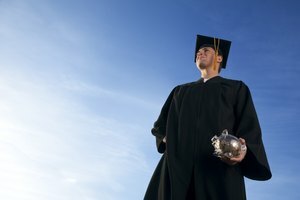 Those who earn a scholarship can and should take advantage of all the other benefits that will be offered to them along with the scholarship, according to PrepScholar. Those benefits include an invitation to a career center platform to search for jobs and internships, a mentor match program, an online course system, access to the HSF newsletter, which has information on extracurricular activities and volunteer opportunities, invitations to HSF events and programs, such as the Latinos United and Networking for Advancement (LUNA) and an extra "point" to help you earn the HSF in the future – perhaps in your next year of school. Who Can Apply for the HSF? The HSF is open to all high school students, undergraduate students in any year, community college students that will be transferring to a four-year university and graduate students of Hispanic heritage. If you are selected to receive the scholarship, you will find out in either June or July before the fall semester of the academic year you plan on attending school. If awarded, the scholarship amount will be released to you in the fall term, sometime between September and December, with proof of full-time enrollment and your complete financial aid package. If you're interested in applying for the Hispanic Scholarship Fund to help you pay for school and get the additional perks, then you must meet certain eligibility requirements. In order to meet the Hispanic Scholarship Fund requirements, you must be either a high school senior, undergraduate student or a community college student that will be transferring to a four-year school or a graduate student, of Hispanic heritage as the HSF describes it, complete the FAFSA or state-based financial aid application if applicable and plan to enroll in an accredited, not-for-profit, four-year college or graduate school as a full-time student in the fall semester of the year applying. High school students must have a minimum of a 3.0 GPA on a 4.0 scale, while undergraduate college students and graduate students must have a minimum of a 2.5 on a 4.0 scale. Applicants must also be a U.S. citizen, Permanent Legal Resident, DACA or eligible non-citizen as defined by FAFSA. 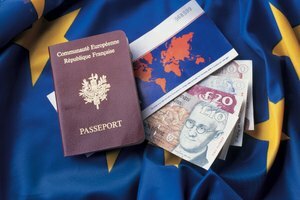 Refugees and those who have sought asylum are also eligible, but please visit the HSF website for more information. Applicants should also keep in mind that because the scholarship is given to students based on merit, they must have aspects of their application that make them stand out. For instance, your application will likely be ranked higher if you've taken honors or advanced classes, if you've shown consistent involvement in extracurricular activities or held leadership positions, have had notable academic achievements and shown commitment to giving back to your community. When it comes time to apply for the Hispanic Scholarship Fund, prepare to fill out quite a number of pages. To begin the application, you must create a login and password by clicking "apply" in the top-right corner of the HSF homepage. You will also need some materials readily available, although some of them you won't need unless you make it to the "Finalist" stage. Materials required for the HSF application include your completed FAFSA and Student Aid Report (SAR), school transcripts and enrollment verification from the school you plan to attend in the fall. 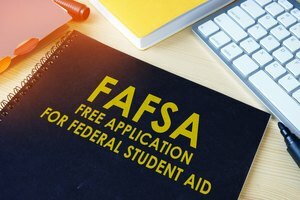 You will also need your financial aid award letter from the college you're going to attend to help determine how much money you should get if you get chosen for the scholarship. A letter of recommendation from an academic professional, such as a teacher you admire, is also required. You will only need one recommendation letter, but it's better to have more than one if possible. Because there are many rules surrounding the application process for the Hispanic Scholarship Fund, it's imperative that you follow these rules closely and make sure all supporting documents are in by the various deadlines, otherwise, you can be disqualified. If you do get awarded the HSF, that is excellent news and you should be extremely proud. However, there's always a chance that the amount you receive still won't be enough to cover tuition costs, unfortunately. Therefore, it's important to have other options available so that you can still attend college and earn your degree. LaRock, Hana. "What Is the Hispanic Scholarship Fund?" Synonym, https://classroom.synonym.com/what-is-the-hispanic-scholarship-fund-13714924.html. 28 September 2018.